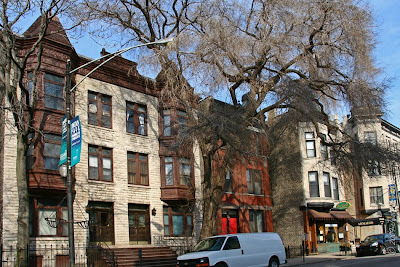 Images above and below: Street view of Armitage Avenue.. 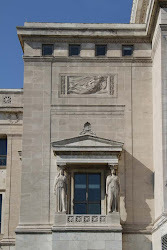 Date Designated a Chicago Landmark: February 5, 2003 .. 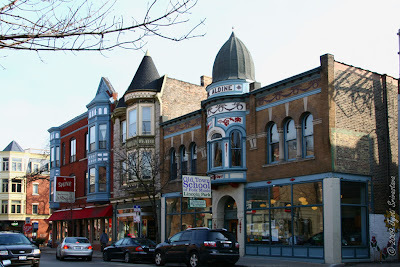 These two streets in the Lincoln Park community area form one of the finest nineteenth-century neighborhood commercial streetscapes remaining in Chicago. 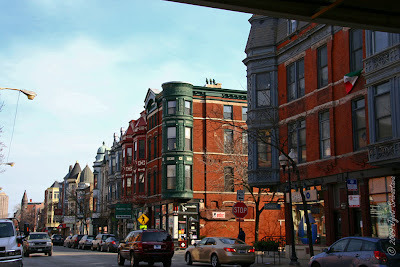 The district contains an excellent cross-section of residential and commercial building types significant in the development of such streets, including small residential buildings and larger, multi-story mixed-use buildings. 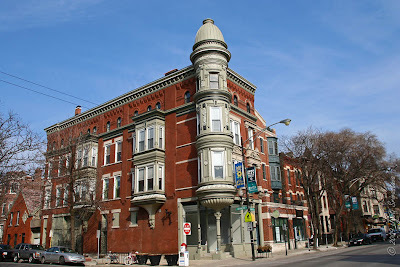 The area is especially noteworthy for the profusion of pressed-metal decoration, including bays, cornices, and corner turrets, on many of the buildings. 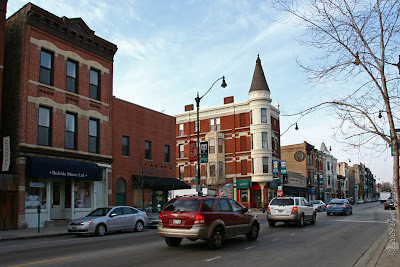 Together, the district's buildings form an important streetscape that exemplifies the importance of neighborhood shopping streets to the history of Chicago. While looking for information on this landmark district, I came across a very interesting website ... Actually it's a Public Notice by the The Armitage Halsted Landmark Committee ... and it enlists guidelines for the district's facade and signages ... click here ..
# For more on Armitage Halsted district.. click here..